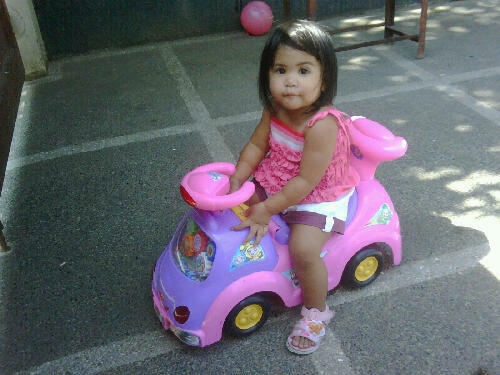 My little pink lady in her toy car. 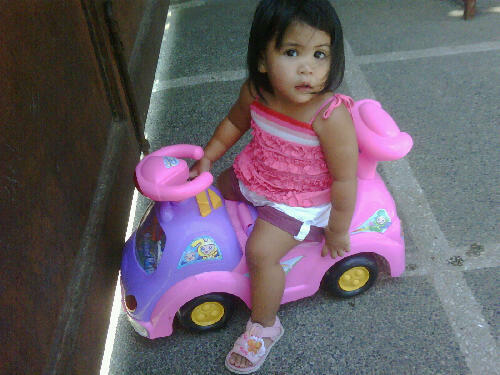 She loves riding this car while her kuya is pushing it. My girl is really surrounded with pink color. Noticed the pink ball? 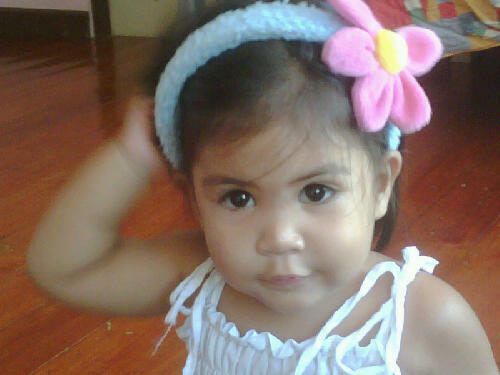 Alexa with her flower design headband bought at SM. If you want to see more I Love Pink photos, you may visit this link. Sorry the photos are not so sharp as I took this using my Blackberry phone only. Wow nice car:-) Alexa you're soooo adorable!